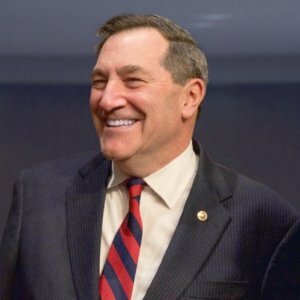 Sen. Joe Donnelly (Ind. ), a conservative Democrat in one of the tightest reelection battles in the country, made a cringeworthy and puzzling statement about some minorities on his staff during a debate Tuesday night. Donnelly followed that bizarre phrasing with a sentiment about inclusiveness and diversity. But (correct usage here, Senator), it was overshadowed by what he said first, which suggested that these staffers did a good job despite their race. “That would have communicated what I have tried to do my entire life: that I make a habit to seek out and promote people of color for both my campaign and official staff,” he said. The senator’s gaffe was bad in a way that could make a political observer nostalgic, remembering the good old days when a slip of the tongue or a strange choice of wording could dog a candidate for a long time or, in some cases, forever. No one, for example, will ever forget Mitt Romney’s “binders full of women” comment during the 2012 presidential race to show he had sought to hire female employees. These are the things “Veep” writers’ dreams are made of — tone-deaf statements probably meant well but totally offensive.